Big B is one of the most talented actors in our Bollywood industry, every actor wants to work with him. 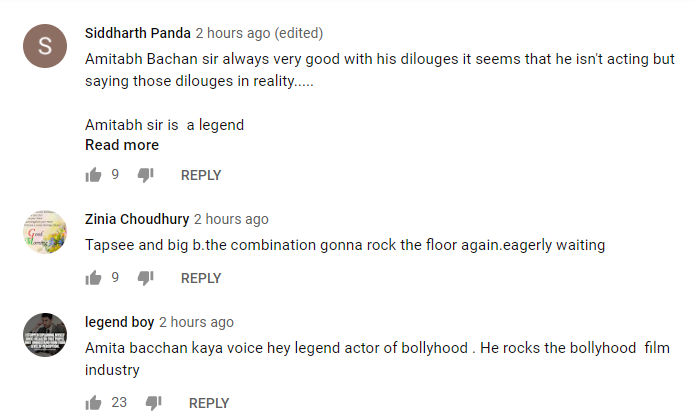 Though most of them never get the chance to work with Mr. Amitabh Bachan. Fortunately, Tappsee Pannu is not one of them. After her first debut with Amitabh Bachan in the movie Pink, now she is going to appear with him once again, in their new movie. Badla movie trailer is already out now, and fans are getting very excited to see the movie. What was in the trailer? 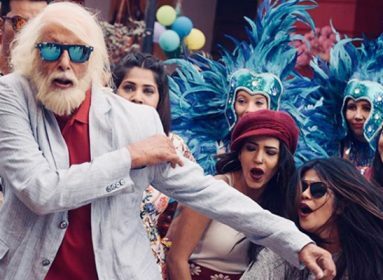 The trailer starts with the voiceover of Amitabh Bachan saying, “Badla Lena Sahi Nahi Hota, Lekin Maaf Kar Dena Har Baar Sahi Nahi Hota.” Which means, taking revenge is not a good thing but forgiving someone every time is also not right. Also Read: Ranveer Singh’s Blue Fur Jacket Has Left Fans Wondering Yeh bhai kya phenta hai? Mr. Bachan is playing the character of a Lawyer whose name is Badal Gupta who has a never lost a case in his 40 years of career. Tappsee is found locked inside a room on a foreign land with a bag full of cash, a dead body lying in the bathroom and blood covered hands. Although all the clues are showing that Tappsee is the killer, but she is sure she didn’t do it. We have already seen how Big B helped Tappsee in their previous movie Pink, that talked about the concept of consent. The trailer is filled with the epic dialogues that fans are already in love with. If you think we are lying check this YouTube comments. If you haven’t watched the trailer yet, watch it here. Fans already know about this dynamic duo and their performance on the big screen. The trailer looks promising, even though it’s a remake of a foreign film. The movie is set to release on March 8, 2019. I bet you are excited to watch the film. Tell us what you think about the trailer. We Doubt Amitabh Bachchan Is Turning 76 Today! Here’s why.